In a chilling new trailer for Sherlock: The Abominable Bride, Sherlock says, “The stage is set. The curtain rises. We are ready to begin.” Fans are past ready to begin. The gap between seasons of Sherlock has been so long, it nearly feels like the series was cancelled. 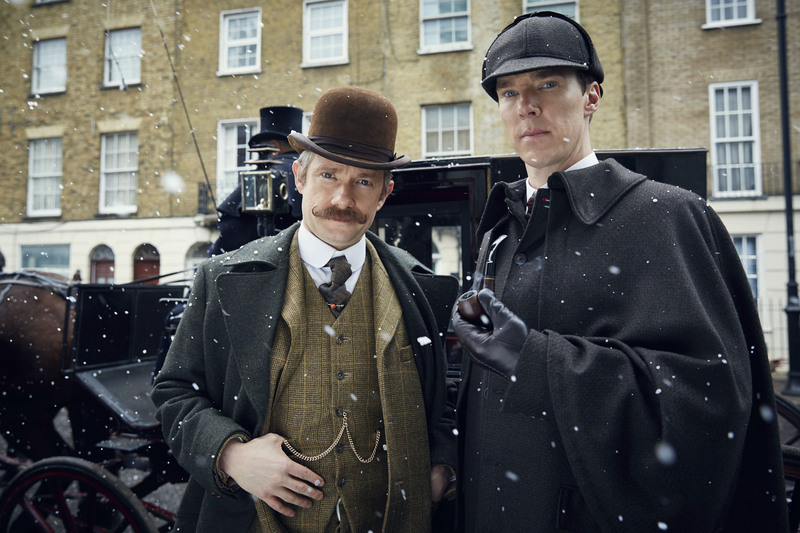 This stand-alone special episode of the Sherlock TV series is set in Victorian London. In the period piece, Benedict Cumberbatch and Martin Freeman abandon their modern takes on Holmes and Watson, for the classic versions of their characters. Sherlock: The Abominable Bride premieres on BBC One (UK) and PBS (US), January 1, 2016. Check your local listings. What do you think of this new trailer for Sherlock: The Abominable Bride? Do you plan to tune for the Victorian special episode? Tell us. Just happy to see they could fit it into their busy schedules. Looking forward to additional episodes a little faster without as much of a gap in between release dates. If this is a series it should feel like a series and not an occassional special. This is how I feel, BillO. I understand the stars and writer are busy, so I’m just glad to get them back, whenever I can. I think Sherlock is my favorite still-airing series. Something to look forward to do on New Year’s Day!!! Agreed, Karen. And I’m so glad, for once, that the US and UK get the show on the same day.